TOGETHER WE FORM AN UNBEATABLE TEAM! 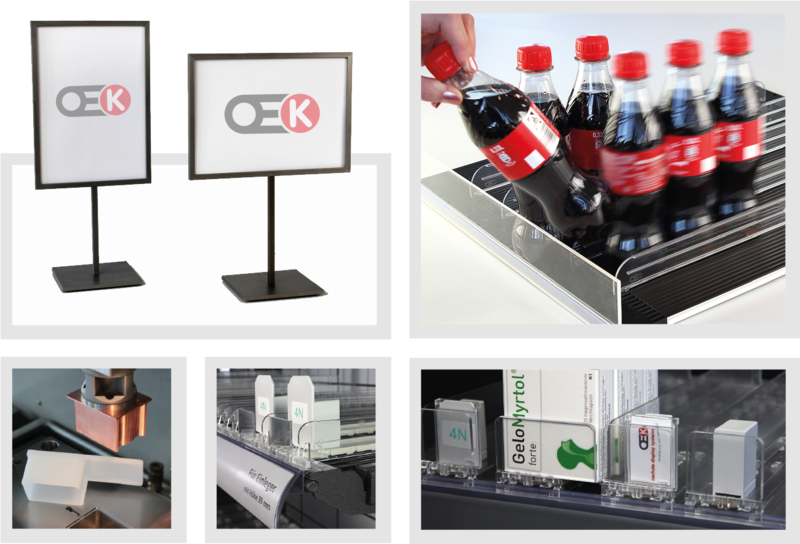 In the fields of display manufacturing, plastics injection moulding and aluminium processing our partner OECHSLE DISPLAY SYSTEME GMBH, based in Leipheim (Swabia), is well-known for creative solutions with many years of experience. We help you to realize your ideas. At the beginning there are your wishes and requirements. Our experienced team of qualified design engineers, model makers and well-versed manufacturing technicians develops a suitable and clever solution in cooperation with you. Three-dimensional prototypes are produced for you on approval and to test. We produce plastic parts with weights from 1 to 1.200 grams. For each product we provide the right material: In our production we use more than 25 different kinds of plastics granules. Annually we process about 500 tons of raw material to produce products according to your requirements. A constant machine care by our specialized staff guarantees an excellent product quality. We process over one million meters of aluminium profiles per year. Solid quality, accurate processing and durability characterize our products. 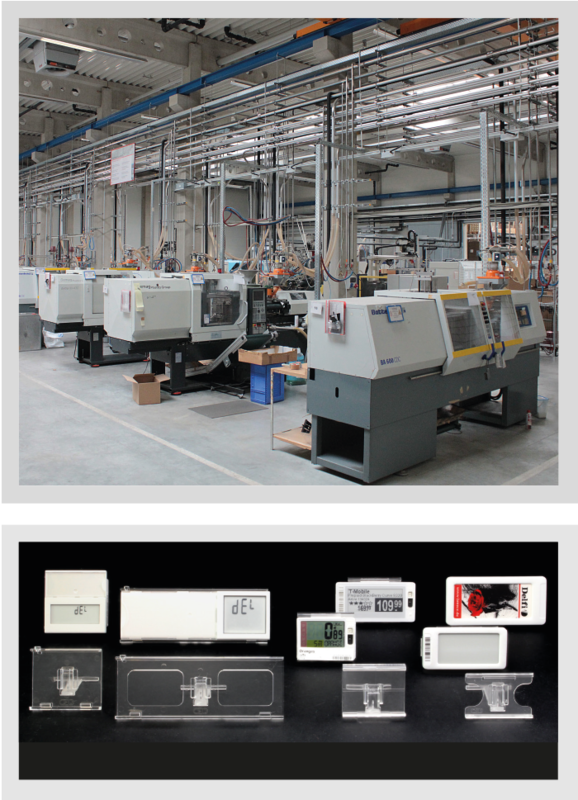 From single items to series production, from standard sizes to individual sizes – we produce according to your requirements.